What a great idea for a business! 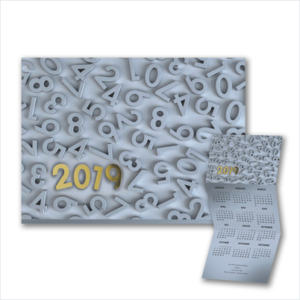 Keep your name and phone number in front of your clients all year long with one of the 2019 Calendar Holiday Greeting Cards for Businesses. No need for them to hunt for your business card when that information is near them every day of the year. <—A photo of all your staff. That is a great way for clients to refresh their memory with the name associated with the picture. 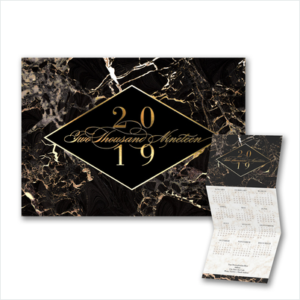 Consider the Stylish Marble Calendar if your business supplies flooring or countertops. Such a rich design could be used in many professional services as well. 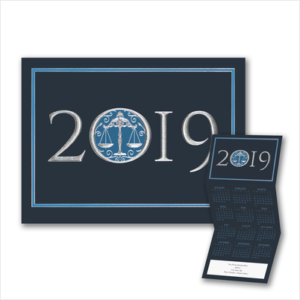 The Scales of Justice Calendar is perfect for lawyers or firms related to the legal profession. Is your business concerned with the environment? 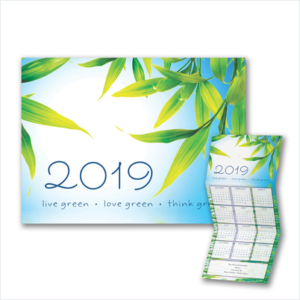 The Living Green Calendar is a great choice for you. For accounting firms or financial planners the Elevated Numbers style will work well. A whimsical representation of landscaping seasonal services could be the perfect holiday greeting to your clients to remind them to call you during the year. 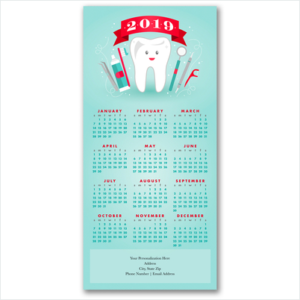 A 2019 Dental Calendar card reminds your clients how to reach you when those cleanings should be scheduled. Perhaps your business involves health and healing. 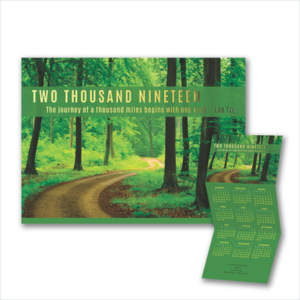 The Calendar of Tranquility is a top choice if you want to convey a message of calmness and rejuvenation. Are you feeling a bit more patriotic this year? 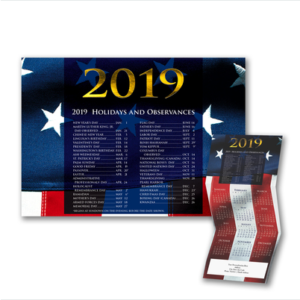 Then you might want to choose the Flag Calendar which includes special dates to remember during the upcoming year of 2019. These samples represent just a few of the available options for the 2019 Calendar Holiday Greeting Cards for Businesses on our website. Best of all, you can send these calendars earlier around Thanksgiving and get a head start reaching your clients before the competition does. It is a greeting card and a business card all rolled into one and lasts all year while helping to generate new and repeat business. Best wishes and success for a profitable business campaign. And remember, if you still prefer the traditional holiday card greeting there are hundreds at your fingertips on our website. Be sure to watch for special savings in September and October! Wishing you a great day today and an even better day tomorrow!